Ensure reliability & extend service life by giving your Data Center a CRAC Performance Assessment. Collect and analyze your heat output, energy use, and cooling capacity. When you rely on us, expect to get the most out of your data center/server room equipment. Our CRAC Performance Assessment, seat you with confidence as you learn, plan and execute a strategy to keep your systems operating with peak performance. For this reason, your team can focus on other important aspects of your business. 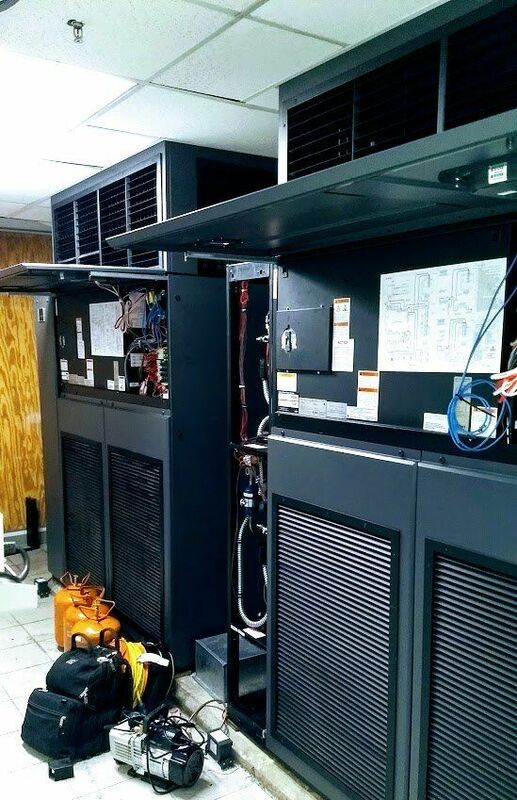 Because you want the best, for your Data Center call on us, Central Florida’s local Computer Room Air Conditioning Experts. Ultimately, you want someone who is Experienced, Trained, and Certified on various brands. We know your IT Department is faced with a multitude of challenges, including increasing workloads, evolving technologies, aging CRAC units, and rising energy prices. Furthermore, many data centers are finding it difficult to keep up with the industry the pace of industry changes and infrastructure. Because of this, having Cold Wall, Inc. to lean on is a crucial asset to your IT or Maintenance team. As a result of proactively managing data center/server room cooling systems, you can improve reliability, reduce energy costs and make the most of your existing facility and infrastructure. A basic service that will provide you with an inventory of your critical cooling equipment, note overall operating conditions and offer sensible solutions to improve equipment, based on manufacturer guidelines. Ultimately, you get a detailed report on your cooling infrastructure condition, utilization levels, and performance capabilities. In addition to this, we provide action-based recommendations to resolve apparent and latent issues. Now, schedule an assessment or to learn more about our Computer Room Air Conditioning Assessment services, please contact us at 321-947-5106!